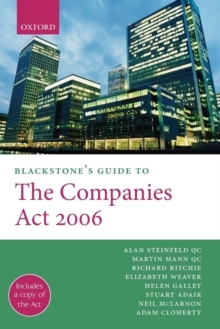 This new Blackstone's Guide provides the complete text of the Companies Act 2006, together with a clear explanation of the legislation and its impact. The Companies Act is a major piece of legislation - comprising 1300 sections and 16 schedules. It represents an attempt to reform company law for the 21st century in accordance with the Government's stated objectives of encouraging small companies, promoting shareholder involvement and fostering a long term investment culture. It puts whole areas of company law which are the product of the common law such as directors' duties and derivative actions on a statutory basis for the first time, andimplements EU Directives on Takeovers and Transparency Obligations. 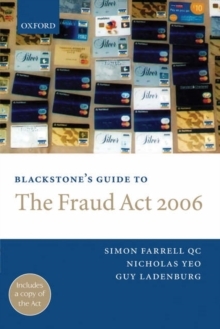 The 2006 Act almost completely consolidates companies legislation in one place with only a few minor provisions remaining in the 1985 Act. 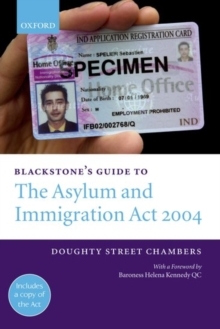 This Guide provides a clear analysis of the new legislation, explaining both its genesis and likely effect. The authors adopt a topic-based approach, focussing on the most important changes and developments for both private and public companies. 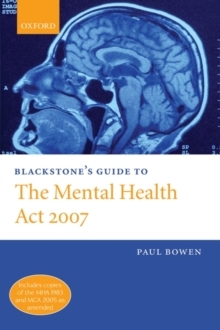 Published soon after enactment, they offer timely and expert commentary on the meaning and effects of the legislation, plus a copy of the Act itself. The Guides are a cost-effective solution to key information needs and are the perfect companion for any practitioner needing to get up to speed with the latest changes.